Simple pastel color half-way blocking nails with jewels! 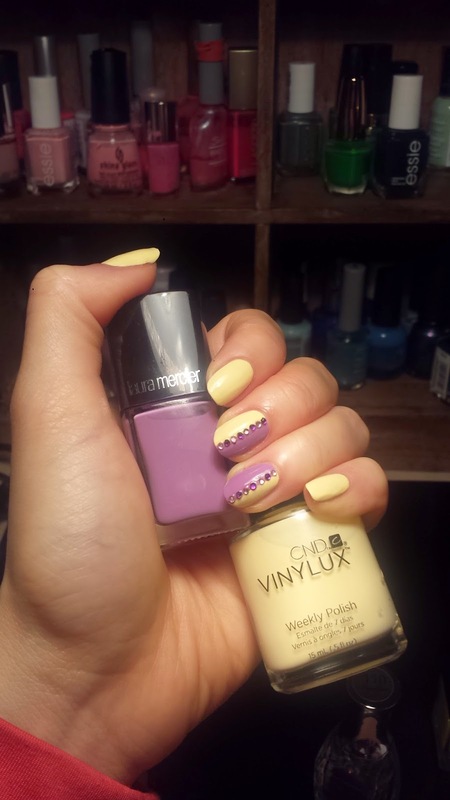 This set is super easy to do! 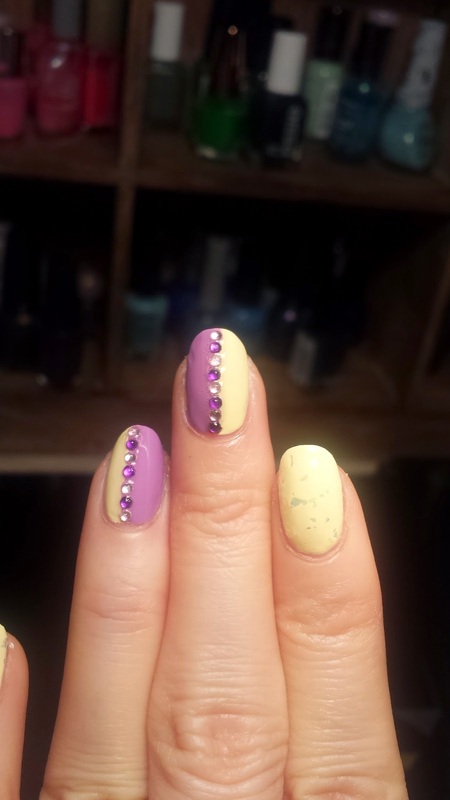 Just like it looks, I painted my middle and fourth fingers with the yellow and purple half way down the nail. Then I used alternating purple and gold nailart jewels to "cover" the boundary line. 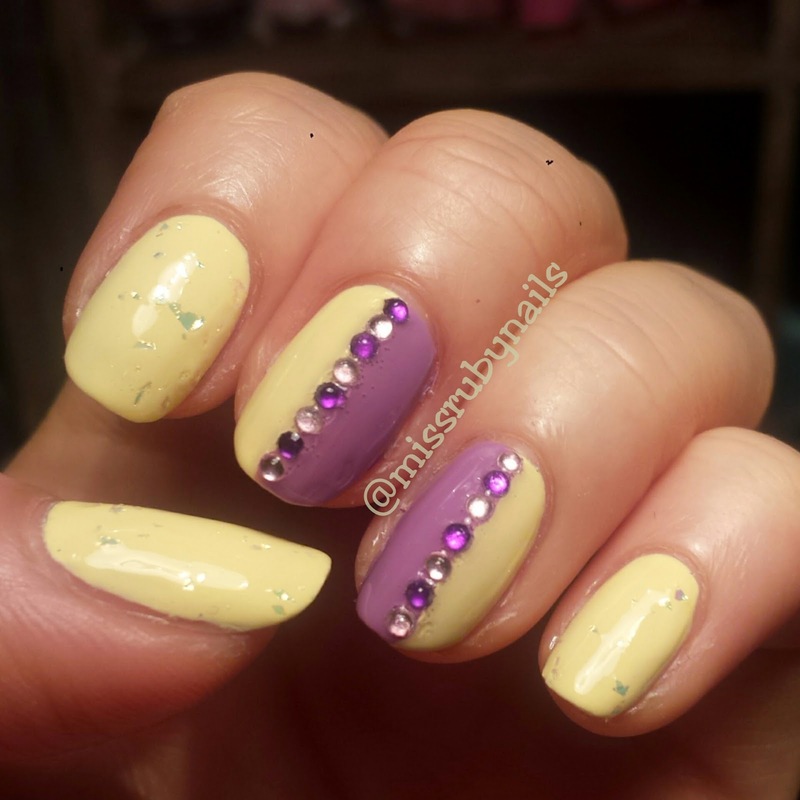 I also added some glitter flakes on the rest of the yellow nails and that's it!